The El Dorado International Airport (BOG) in Bogota, Colombia is the best airport in South America, according to World Airport awards (yes, that’s a thing). 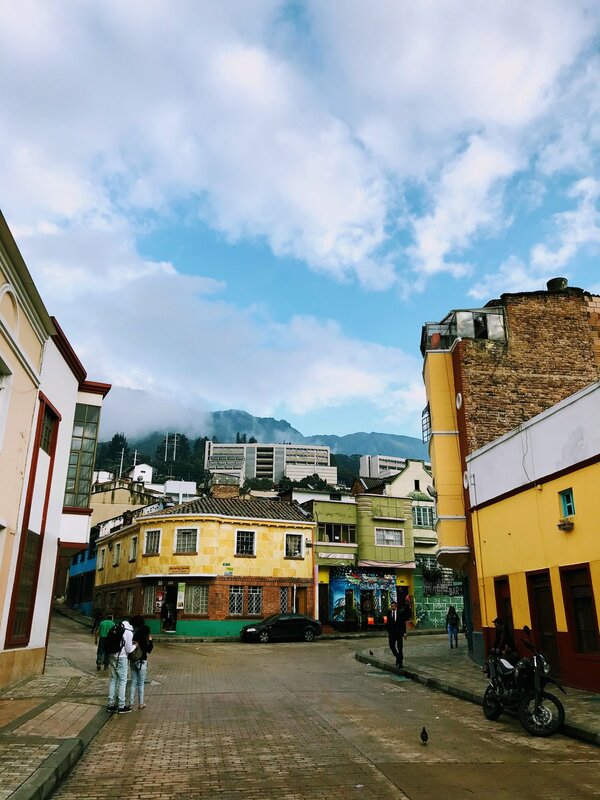 If you find yourself on a layover in Bogota, there are plenty of things that you can see and do in the Colombian capital within a few hours. 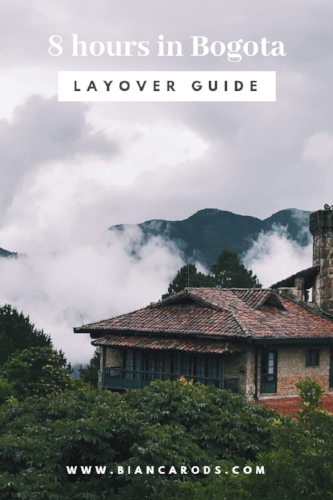 Here is a step by step guide to navigate your 8 hour layover in Bogota. Don’t forget to check out the video at the end of the post! Baggage storage is on the first floor, and costs about $6 for each bag. It’s located near the airport exit, so pretty convenient and efficient. Remember to take your valuables with you, including money and passport. While bigger restaurants and cafes accept credit cards, you may need cash for transportation and shopping. There is a BBVA ATM also located on the first floor. Bags stored, money in hand - you’re ready to step foot in Bogota! Step 3: TIME TO EXPLORE! Transportation: Your fastest option is to take a $7 taxi ride to Monserrate. All taxis require efectivo (cash). Ask your taxi to take you to Cerro Monserrate, an iconic mountain that dominates the city center of Bogota. Even if it’s overcast, don’t let that stop you from going (it’s famous for its cloudy skies)! The views are beautiful and breathtaking. If you're lucky, you may even be ale to see some llamas traipsing on the sidewalk. You can ascend and descend the cerro using a funicular or cable car - make sure you have your camera ready. You’ll want to capture the fog rolling in to form soft, puffy clouds around the city. When you get to the top, you’ll encounter a church, market and several local restaurants. If you’re short on time, you’ll be able to sample some food while catching beautiful sights in a matter of 2-3 hours. Make your way to La Candelaria, the city’s colonial part of town, and the principal destination for tourists. Lose yourself in the maze of alleyways and streets with picture perfect cafes, bars and restaurants. This city knows its beans, and Bogota would’t be complete without a stop (or two) in one if its boutique cafes. These coffee houses served an important political and cultural purpose in the country’s history. These days, they’re sanctuaries for university students, freelancers and the coffee connoisseur. 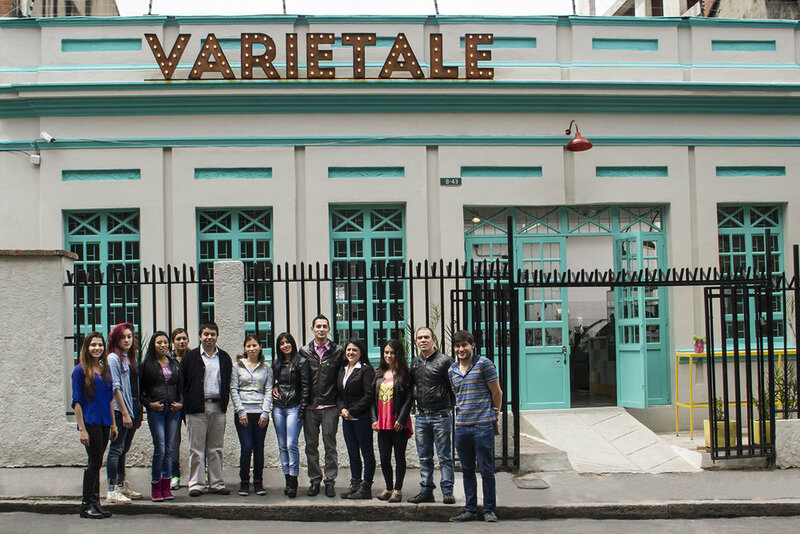 CAFE VARIETALE is one of the newer roasteries located in the Chapinero neighborhood, north of La Candelaria. It’s by the university, so you’ll see the cafe brimming with students working on school projects, or hanging out after classes. The decor is enchanting - you’ll see white and blue tiles illuminated by the sunlight streaming in from the sun roof (hello, Instagram). While there are many cafes to choose from, I liked Varietale because it sources its coffee only from Colombia. More importantly, they educate their baristas on proper roasting, grinding and pouring techniques to deliver you the freshest cup of Joe. Here's a photo of their team. Bogota Beer Company (BBC) brands itself as ‘the biggest small brewery in Colombia’ (‘la cervecería pequeña más grande de Colombia’). It’s got several locations throughout the city, one located in La Candelaria. Enjoy a couple of beers as you people watch through the windows. Plaza Bolivar is the main square of the capital city, where you’ll be surrounded by street vendors, tourists and hundreds of pigeons competing for your attention. The plaza is steeped in Colombian history, and is now dedicated to the Liberator of the Five Nations. Make sure you try a canelazo - you can see it being made in the video below! Make the most of your layover in Bogota, there's a lot to be seen in a matter of hours. Want MORE south america travel inspo? Like this post? Read more on South America! Check out my South America Travel Bucket List for 2019 to inspire you to visit new places this year! From December - March, Chile and the rest of South America enjoys its summer, with a range of activities to keep one busy. If you need a winter escape, hop over to Santiago and check out 25 of the best things to do while you’re there during the South American summer. The best day trips are just an hour outside of Santiago. Explore luxurious ski resorts, world-class wineries, hippie murals of Valparaiso and world-class climbing in Cajon del Maipo.